When we named Jason Holder Lord Megachief of Gold 2018 earlier this year, we said that the three Tests against England would give us more of a sense of the true scale and scope of Jasonholderness. In the first Test at Bridgetown, he hit an unbeaten 202 from number eight and the West Indies won. In Antigua, he took five wickets and the West Indies won. In the third Test, he was banned and the West Indies played less well and got beaten. All in all, 10/10 for Jason Holder. In the first two Tests, Holder’s team looked hard to beat. The man himself says the Windies used to succumb to pressure; that the opposition used to feel that if they bogged down the batsmen, they could get under their skin and get wickets. 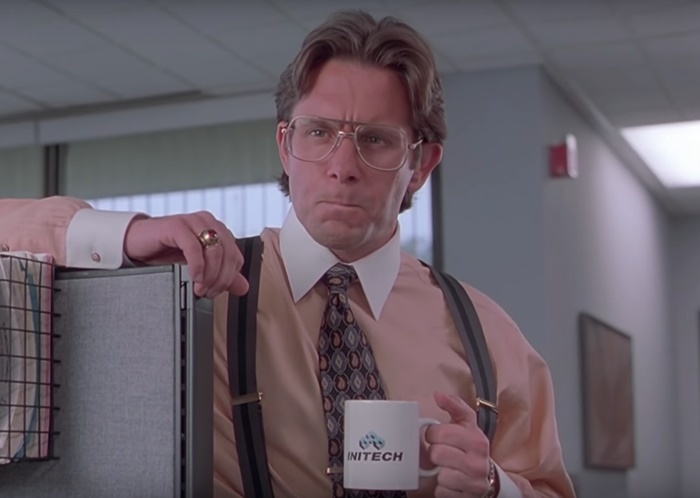 One of the all time great terrible bosses is Bill Lumbergh from Office Space. Bill Lumbergh is a pure distillation of the kind of terrible empty leadership you get in terrible empty corporations. Jason Holder strikes us as the anti-Lumbergh. Jason Holder is such a good leader that we’d definitely remember to put one of the new cover sheets on our TPS reports. Your prediction for how many matches Bairstow would last at #3 , this one: “We reckon three – the three against the West Indies “, seems to be mightily wise, oh great King. Actually you estimated 50% more matches than was actually the case. I don’t want to come over all Bill Lumbergh here (who he?) but if one of my analysts got their estimates 50% out, I’d let them know that “we have a bit of a problem here”, even if they had used the new cover sheets on their TPS reports. I sense you are a stickler for the rules with these things. However, I can’t imagine you going all Terry Tate on a subordinate for a missing cover sheet, Ged. Yup, my original 1990 version had more examples and was far more pointed. I must dig it out and up it to Ogblog, it’ll still be around somewhere.